The following describes how to run Windows in a virtual machine on any Linux distribution or on OpenBSD. This how-to includes all the details, including setting up networking. The method uses the QEMU virtual machine emulator. 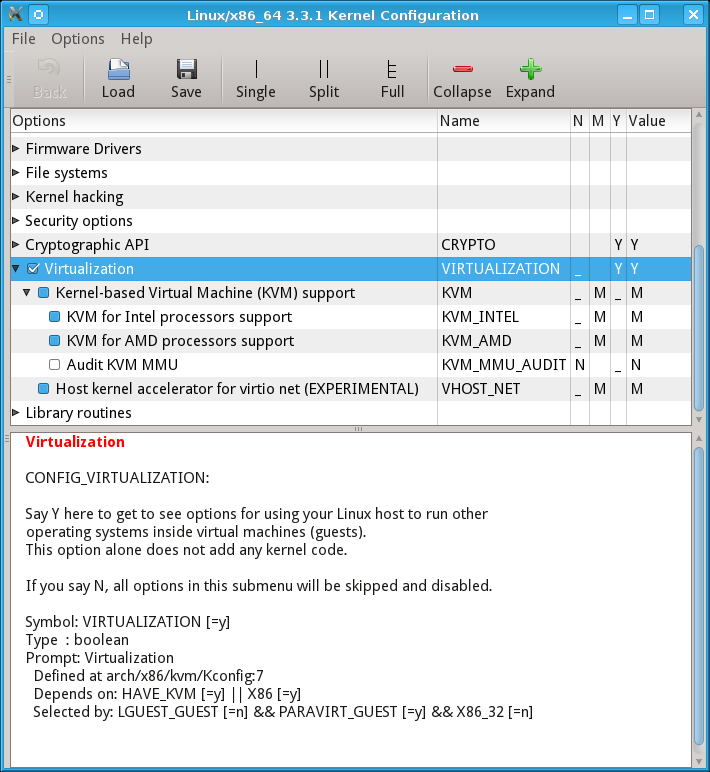 QEMU running on a Linux platform can take advantage of the KVM (or Kernel-based Virtual Machine) support within the Linux kernel for better performance. OpenBSD has better performance than a typical Linux installation on low-end hardware. OpenBSD boots quickly and shuts down really fast when you run halt -p as root. That's good if I'm somewhere like a coffeeshop or airport concourse and don't want to have to wait for ages while Linux shuts down umpteen arcane services that I really didn't need in the first place. Using both Linux and OpenBSD forces me to better know Unix in general, not just one Linux distribution. OpenBSD is the operating system of choice for security! Unfortunately, once in a great while I need to do something with the expensive bugware known as Windows. Yes, LibreOffice and Gnumeric let me handle Microsoft Office documents just fine. That would seem to leave games as the only thing that Windows is really good for. But once in a while I need to figure out where Windows hides a certain piece of data, or just how Windows (mis)behaves in a certain situation, or I have to deal with a poorly written "web page" that isn't really a web page after all, it's nothing more than an Explorer page. The solution would seem to be VMware, but it isn't available for the OpenBSD operating system. And even on Linux, VMware is very sensitive to kernel version and distribution. You might have to keep your system running older kernels and therefore older user-space packages to support VMware. And forget about running VMware on other hardware platforms, like the Alpha or UltraSPARC. No problem — there is a much easier way to run Windows! with some corrections and updates and improvements. A KDE desktop on an OpenBSD laptop, with Windows XP running within a QEMU virtual machine. Within that XP VM, Explorer is viewing an early version of this page (in which you did not see Explorer viewing the page, and so on down to infinity). Install the QEMU packages as needed. They will probably have names like qemu and qemu-img. See my page on Unix package management for more details on how to add packages. kqemu introduces a number of restrictions on the i386 target. The worst is that it prevents large memory from working in the default build. Furthermore, kqemu is fundamentally flawed in a number of ways. It relies on the TSC as a time source which will not be reliable on a multiple processor system in userspace. Since most modern processors are multicore, this severely limits the utility of kqemu. 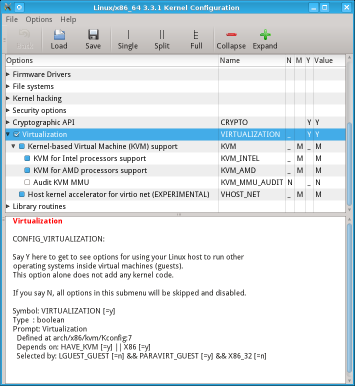 If you are building your own Linux kernel, be sure to include support for KVM, the Kernel-based Virtual Machine module of the Linux kernel. Here you see a kernel build configuration underway, with virtualization supported and loadable modules being built for KVM for both Intel and AMD processors. This builds three modules: kvm.ko, kvm-amd.ko and kvm-intel.ko. Thanks to Bodhi Zazan for suggestions here! Let's say you are starting with an existing VMware based virtual machine that you would like to keep. If not, skip to the next section. If you successfully converted an existing Windows image as described in the above section, skip to the next section. However, if you need to start with a fresh installation of Windows, use this section. This was easier for me than some web pages suggested it would be. But just in case, I'll provide alternatives in case you need to work around problems. Now create an empty disk image. 8 GB was going to be more than enough for what I wanted to do. It might be nice to have an image that would fit on one single-layer DVD, so 4500M could have been a better choice than 8G for the size specification if I had been certain that what I needed to do would have fit into that space. Unlike some people, I had no trouble getting qemu to boot from a physical drive. I simply put a Windows XP install DVD in the drive and used that. However, if for some reason that didn't work, you could always use k3b or similar to create an ISO image of that DVD. That could even be done on another system and shared over NFS. -m 512               = Let the virtual machine have 512 MB of RAM. physical RAM in the system. -cdrom /path/to/dvd  = Specify the CD/DVD device or ISO image. -boot d              = Boot from device D, the CD/DVD. -no-acpi             = Disable the disfunctional ACPI. virtual.hd           = The file containing the virtual disk image. Hey, look, it works! It's the Windows installation boot process running within a window on your OpenBSD desktop. Get it started and then go do something else for a while. It will get to some point and want to reboot from the partially installed hard drive. Since we're running on a virtual disk image, we will have to use qemu to tell it how to do that. In the terminal emulator where you started qemu you should be looking at a qemu prompt. Type q and <enter> to effectively power off the virtual machine. Now leave the DVD in the drive (or the ISO image mounted) and start qemu a little differently. Notice that we are not passing the -boot d parameter specifying a boot from the DVD device. This example is from my OpenBSD laptop where /dev/cd0a is the CD/DVD device. The default boot device is the file virtual.hd, QEMU's notion of the boot disk. Once it's done installing, shut down Windows and quit the emulator. Then just start it the same way as shown above. I created a one-line shell script to save typing. Some combinations of host OS, guest OS and QEMU version have required me to use the -no-acpi option. to start a new dedicated terminal emulator. has bridge to a physical Ethernet interface. This allows ping and tracert to work from the Windows virtual machine along with TCP client applications. It will be able to reach everything except the host OS. This machine is my gateway to the Internet and it has two Ethernet interfaces. The external interface is eth0, with an IP address, netmask and default route set by the ISP. The internal interface is eth1, 10.1.1.100/24. The plan is to bridge the QEMU VLAN to the internal interface, eth1, and have at least TCP connectivity to systems on the internal 10.1.1/24 LAN and out on the Internet. This means that a bridge interface br0 will appear, and it will be used in place of eth1 as this system's internal interface. The firewall rules used for masquerading or NAT must be modified. # forward from the bridge through masquerading to the outside. Now I can start the virtual machine very simply by running that qemu-xp shell script. Started this way, TCP client applications can reach everything including the host OS. However, ping and tracert will not work, possibly causing some confusion and frustration. As this is a 64-bit OS, I cannot use the qemu command. If I try that, I get the ASCII-as-graphic "Windows is loading files" error screen. I also need to add the -vga std option. A new slightly different script is needed. Here is the qemu-win7 shell script. See the QEMU Networking Documentation page and also this page and this page for far more details on QEMU networking. I simply set up networking to use DHCP, as QEMU includes a tiny DHCP server! Go into the Control Panel, select Networking, then LAN Connection, its Properties, and TCP/IP. Then specify to get the IP address and the DNS server address automatically. The Realtek RTL8029(AS) emulation and the MAC address are defined by QEMU. 10.0.2.2 appears to the virtual machine to be its DNS server, DHCP server, and default gateway. Really that's the QEMU software. However, things aren't quite working correctly yet. DNS works, nslookup works just fine. But the only thing you can contact via ping or tracert or anything else is 10.0.2.2. DNS works because QEMU is an application making calls to the host operating system's resolver library. It's QEMU that is generating and receiving the DNS queries and replies out via the Ethernet interface. But why are ping and tracert broken? You must realize that tracert is already broken on Windows. Microsoft's faulty implementation of tracing routes uses ICMP packets and not UDP packets. This relies on the Internet infrastructure using ICMP to report on errors about ICMP. According to the formal definitions of the protocols, IP hosts should not do that and Microsoft's tracert should not work at all. It seems that most everyone gave up and went along with the faulty design of tracert. Sniffing packets with Wireshark reveals the mystery! The ICMP packets used by ping and tracert are being replaced by UDP port 7 (echo) packets by Slirp, used by QEMU and replacing the original network and transport layer encapsulation. My firewall isn't masquerading and passing UDP/Echo packets, and I wouldn't expect other firewalls to do so, either. TCP protocols like HTTP, FTP, and SSH work just fine. I'll just have to remember that ping and tracert just don't work from the virtual machine, but that doesn't mean that networking is broken. Everything works just fine if you have multiple interfaces on the host OS. QEMU is a user process running on that OS, and the operating system simply uses its routing table to decide which interface to use, and how. This seems to me like a huge improvement over VMware and its obsession about the first Ethernet interface. Click here for details about VMware networking and how to handle multiple physical interfaces in VMware.